KTA Members receive discounts on all merchandise - use the drop-down option to select "KTA Member" for your items. Shipping: We use USPS Priority Shipping. Please note that KTA's staff is two employees. Events, programs, and meetings can cause a delay in shipment. We work hard to make sure that every order is processed, shipped, and at your mailbox within 6 business days, often less. If we expect a delay, a note will be posted here. In-Person Orders: If you would like to skip the Shipping & Handling fee, please call 717-766-9690 to set up an appointment to shop our in-office store. Note: we can only accept cash or check in person. ​PayPal hosts our "Shopping Cart." To learn more about navigating our store, click HERE. This 100% cotton hat is perfect for all of your outdoor adventures. Show your KTA pride by sporting this stylish, khaki hat. Features embroidered KTA Logo and a convenient adjustable piece to fit the hat to most head sizes! Round; 3"; cloth; green and brown on white. Shop KTA Apparel from Western Heritage - link will direct you to an external website. 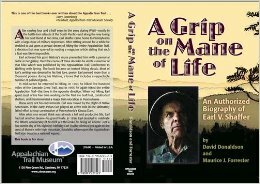 After serving four and a half years in the army during WWII-mostly in the battle-torn islands of the South Pacific-and along the way losing his best friend at Iwo Jima, Earl Shaffer came home to Pennsylvania with a large dose of military depression. After rattling around for a while he decided to act upon a prewar dream of hiking the entire Appalachian Trail, a decision that was spurred by reading a magazine article stating that such a feat was likely impossible. Earl achieved his goal, and history's muse presented him with a personal niche in her gallery. 1st edition (2014); 307 pages; black and white photos; paperback; 6" x 9". From Pisgah Press: Heather Houskeeper’s A Guide to the Edible and Medicinal Plants of the Finger Lakes Trail is a practical guide to identifying and utilizing the plants found along the almost 1,000-mile-long hiking trail. Houskeeper is an accomplished hiker and trained herbalist who was certified by the Chestnut School of Herbal Medicine in Asheville, NC. In 2015 she thru-hiked the Finger Lakes Trail and set the record as the first person to hike the entire FLT system, including its many side trails and byways, in one continuous trek. 1st edition (2016); 143 pages; color photos; spiral bound; 6" x 8". This book contains descriptive trail guidance for the Quehanna Trail and the Allegheny Front Trail. 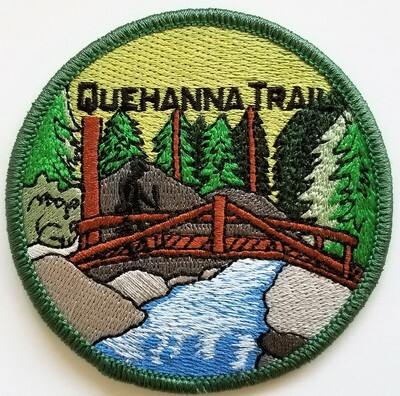 It also describes the many other trails found in the Quehanna Wild Area, as well as the trails located in the Moshannon and southern Elk State Forests. In addition to details regarding the physical aspects of the trails, you'll also find plenty of extra information contained here. Historical insight and fellow hikers' stories add to the enjoyment and discovery of the trails in the Quehanna and Black Moshannon areas. 4th edition (2014); 132 pages; black and white photos; 5.5" x 8.3". The Allegheny Front Trail (AFT) is a 41.75 mile-long loop trail in Moshannon State Forest in western Centre County, Pennsylvania that roughly circles Black Moshannon State Park. Except for the short distance within the state park boundaries, the entire length of the AFT is within the state forest. This book by Ben Cramer provides detailed guidance on hiking the AFT. Turn-by-turn instructions, photos, and maps provide you with the information you need to enjoy the trail and the scenery of the Moshannon State Forest and the Allegheny Front. 110 pages; Dimensions: 6.5" x 4.5". The Guide to the Elk Trail is another in the PA Hikes series. This pocket-sized guide contains 55 pages describing the Elk Trail and the nearby Fred Woods Trail. Inside you’ll find turn-by-turn directions for this 15.6 mile segment trail near Benezette and information on local resources. Included is a 2-sided color map printed on water-resistant paper. (2016); 5.5” x 4.5”. A Pennsylvania trail from Valley Forge National Historical Park to the Appalachian Trail on Stony Mountain. ​25th edition (2018); paperback. The Guide to the Quehanna Trail is another in the PA Hikes series. This pocket-sized guide contains 151 pages describing the Quehanna Trail. Inside you’ll find turn-by-turn directions for this oval-shaped loop trail in the Moshannan and Elk State Forests. Included with the guidebook are 4 color maps (2 2-sided pages) showing the route of the trail, vistas, parking, and optional side trails. Elevation profile also included. (2016); 4.5” x 6.5. The Susquehannock Trail System (STS) is an 83 mile-long loop trail, plus several connecting trails, in North-Central Pennsylvania. The main STS is mostly in Potter County, one of the least inhabited areas of Pennsylvania, so the Susquehannock Trail System offers a special sense of remote solitude. Ben Cramer provides turn-by-turn directions in both miles and kilometers, as well as areas of poor or good water quality, and potential camping spots along the trail. Also included are elevation profiles and details on some of the side trails found here, including the West Branch Trail, East Fork Trail, North Link and South Link Trails. Guide is paperback, 264 pages, 6.0 x 4.0 x 0.6 inches. Maps measure 8.5" x 11", full color both sides, and printed on water proof paper. The John P. Saylor Trail Guidebook (2012) is the third in the PAHikes Trail Guide Series. 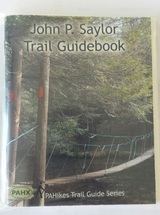 This pocket-size trail guide contains 58 pages describing the John P. Saylor Trail. Inside you'll find turn-by-turn directions for hiking this double-loop trail located on the Allegheny Plateau. Included with the guidebook is a full color map. This map shows the route of the trail and indicates distances, parking areas, and points of interest. Trail Guide, 58 pages, 4.25" x 5.5". Map, 2-sided, full color, 8.5" x 11". 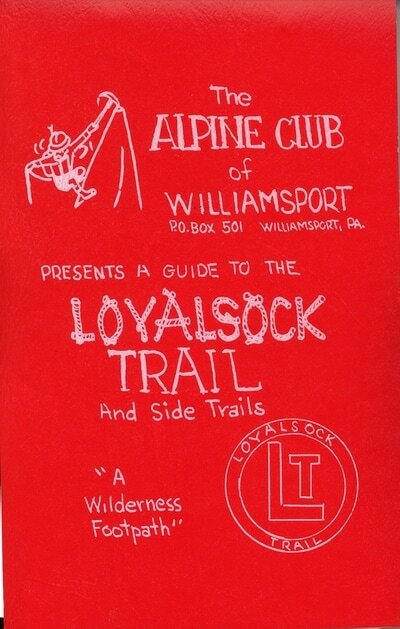 The Alpine Club of Williamsport presents a guide to the Loyalsock Trail and side trails. Hand-assembled paperback with 3 water-resistant, color maps. 19th edition (2015); 51 pages; 3.75" x 5.75". ​Complete set of ten (10) maps to the 199.4 miles of trail that make up the Mason-Dixon Trail System (2016); folded 4.5" x 8.5". The Old Loggers Path (OLP) is a great walking path for beginner and experienced hikers alike. This looped trail explores the Loyalsock State Forest for 27.8 miles. In this guide you'll find turn-by-turn directions for hiking the OLP along with pictures and a brief description about the geology of the area. Included with the guidebook is a full color map. This map shows the route of the trail and indicates distances, elevation profile, parking areas, and vistas. 58 pages; (2014); Dimensions: 5.5" x 4.25". Includes 8.5" x 11" full color waterproof topographical map. The Chuck Keiper Trail Guide is another in the PA Hikes series. 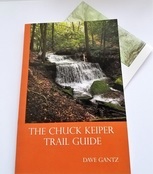 This pocket-sized guide contains 60 pages describing the Chuck Keiper Trail. Inside you’ll find turn-by-turn directions for this loop on the Allegheny Plateau, information about the area, geology, parking, and more. Included is a 2-sided color map printed on water-resistant paper. (2016); 4.5” x 6.5”. The thirteenth edition is dedicated to the many hundreds of volunteers who collectively contribute more than 20,000 hours each year to build and maintain the state's wonderful hiking trails. Divided into nine regions, the hiking opportunities in this edition are vast, exciting and diverse. Includes contact information, directions, and some overview maps. 13th edition (2008); 236 pages; paperback; color photos; 6" x 9". This map highlights the state's 29 long-distance hiking trails with short trail descriptions and links to appropriate websites for additional trail information. 24" x 36" (folds to 4" x 8.5"), color map. Pennsylvania Hiking Trails, 13th Edition and the new Guide to Hiking Trails in Pennsylvania map are now available in a convenient set! Learn more about Pennsylvania's wonderful network of hiking trails - including 29 long-distance hiking trails - while exploring hiking opportunities close to your home and in different parts of the state. 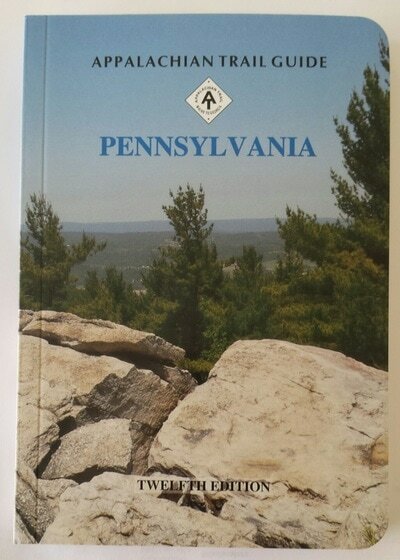 Pennsylvania Hiking Trails, 13th edition(2008); 236 pages; color photos; paperback; 6" x 9". Guide to Hiking Trails in Pennsylvania Map, 24" x 36" (folds to 4" x 8.5"), color map. Included in this map and guide set is the completely revised 13th (2018) edition of Guide to the Mid State Trail in Pennsylvania, along with color maps of the trail. Including other trails in and around Buchanan State Forest, SGL 73, 97, & 118, and Lower Trail. Bedford, Blair, & Huntingdon (Part) Counties. Published by Mid State Trail Association (2010). Replaces Maps 213/215, 214/216, 217/218, and B&W 303/304. 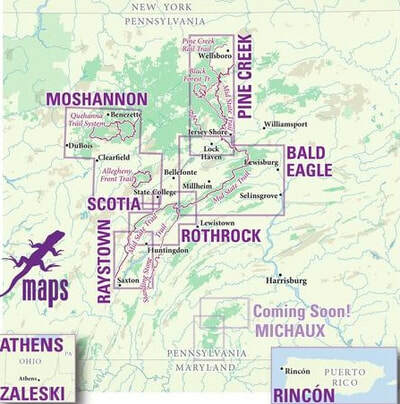 Including other trails in and around Rothrock & Bald Eagle State Forests & bordering parks & recreation areas. Centre, Huntingdon, Mifflin, & Union (part) Counties. Published by Mid State Trail Association (2017). Replaces Map 307-310. Including other trails in and around Bald Eagle & Tiadaghton State Forests and SGL 75. West of Williamsport, PA. Published by Mid State Trail Association (2009). Replaces Maps 205, 206, 207, 208, 209, 210, and 211. Includes all three maps as described above. 6th edition (2016); 104 pages; 4.25" x 7". 5th Edition (2013); 144 pages; 4.25" x 7". 6th Edition (2016); 144 pages; 4.25" x 7". Appalachian Trail Junction in PA to PA Route 641. Pennsylvania coverage also includes Tuscarora State Forest (eastern parts), Big Springs, Fowlers Hollow & Colonel Denning State Parks. GPS compatible. 3rd edition (2012); multi-colored, on heavyweight waterproof stock; 17" x 32", folded to 4" x 8.5"; elevation profile. PA Route 641 to Hancock, MD. Pennsylvania coverage also includes Buchanan State Forest (eastern parts), Cowans Gap State Park & Great Eastern Trail. GPS compatible. 4th edition (2013); multi-colored, on heavyweight waterproof stock; 17" x 32", folded to 4" x 8.5"; elevation profile. Swatara Gap to Susquehanna River. All maps show route of AT with elevation profiles, side trails, and other general information. Published by Keystone Trails Association, (2004); multi-colored, on heavyweight stock; folded 4" x 8". The complete set includes the guidebook and all five maps as described above. ​Purple Lizard Maps is dedicated to making beautiful maps of special places. 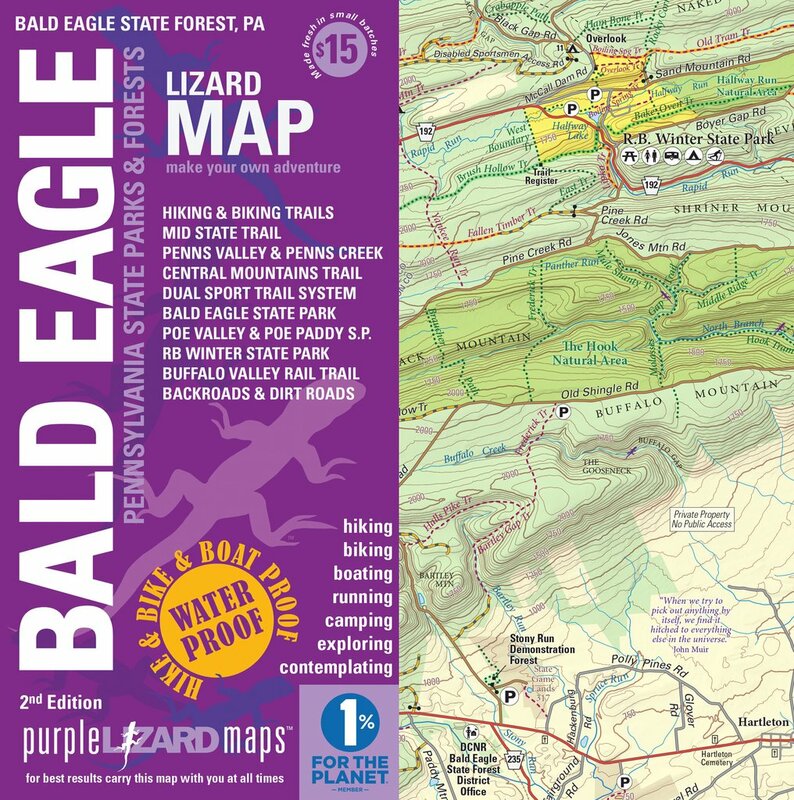 Designed for those who want to make the most of their outdoor recreation, Purple Lizard's expanding line of "Lizard Maps" includes some of the best hiking destinations in Pennsylvania. The maps are waterproof, durable, and easily fit in your back pocket or backpack. Folded size 4" x 8". Lizard Maps offer hikers all the info they need for short or long distance adventures, including elevation, camping info, and contour lines. Round; 3'; cloth; nine colors. Round; 3"; cloth; seven colors. Round; 3"; cloth; six colors. Round; 3"; cloth; four colors. Round; 3"; cloth; ten colors. Round, 4"; cloth; five colors. All 8 patches - 1 great price! 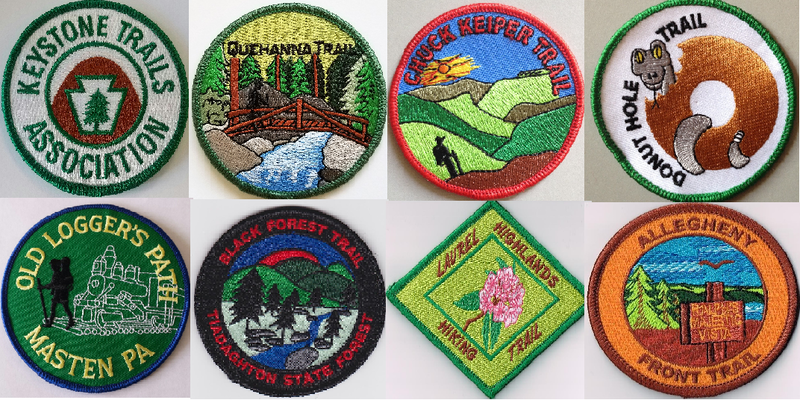 KTA Logo, Quehanna Trail, Chuck Keiper Trail, Donut Hole Trail, Old Loggers Path, Black Forest Trail, Laurel Highlands Trail, and Allegheny Front Trail. Interested in purchasing a map or trail guide not listed in our online shop? Please contact us at ktaadmin@kta-hike.org, and we'll be happy to help as much as possible. Prefer to pay with check or money order? Please download the Mail Order Price List and print and complete the Order Form. Order forms can be mailed with your payment to: KTA, 46 E. Main St., Mechanicsburg, PA 17055. Live nearby? Visit our office and make a purchase (cash or check accepted). Call in advance, please: 717-766-9690.